How did your love begin? If it didn’t start with some level of friendship and has lasted, I think you are fortunate. My personal opinion is like Ann Landers said. Friendship, fire, good, bad, humanity. There you have it. Would be nice if things were that simple. The truth is when love first enters the picture it’s never simple. Oh, it may appear so, but unless there has been a foundation set, there are going to be some major obstacles at some point. Remembering no person is perfect is important. We all make mistakes. We say that now, when we think of ourselves with weaknesses, but think about if the other person had a moment of weakness, how forgiving would you be? Think about that as your weaknesses begins to take form. Would you forgive yourself? I was looking at that word perfection up there. Have you ever met the perfect person? Were they perfect looking? Did they have the perfect attitude? No? Right. Perfection means a lot of things to a lot of different people. Perhaps perfection is less than what another person things of perfection, or maybe it is greater. I’ve been thinky lately. I thought I would share. A NeW feature on Ronovan Writes! It’s time for something a little different here on the blog. We have a poetry challenge, a fiction writing challenge, and I co-host the Writer’s Quote Wednesday Writing Challenge on another blog with Colleen after we both felt a need to retire our individual Wednesday challenges and combine them to keep the big picture going while making it easier on us as hosts. I’ll tell you, hosting three challenges each week on your own is tough, so co-hosting one of them makes a huge difference. I also backed off doing the reviews for my challenges. It’s not something I’m happy with, but if the challenges were to continue, that’s what had to happen. I was very close to stopping all my challenges until I decided to try the ‘no review’ option. Not as many people are involved but we still have people writing. As I said in the beginning, I want to try something new. 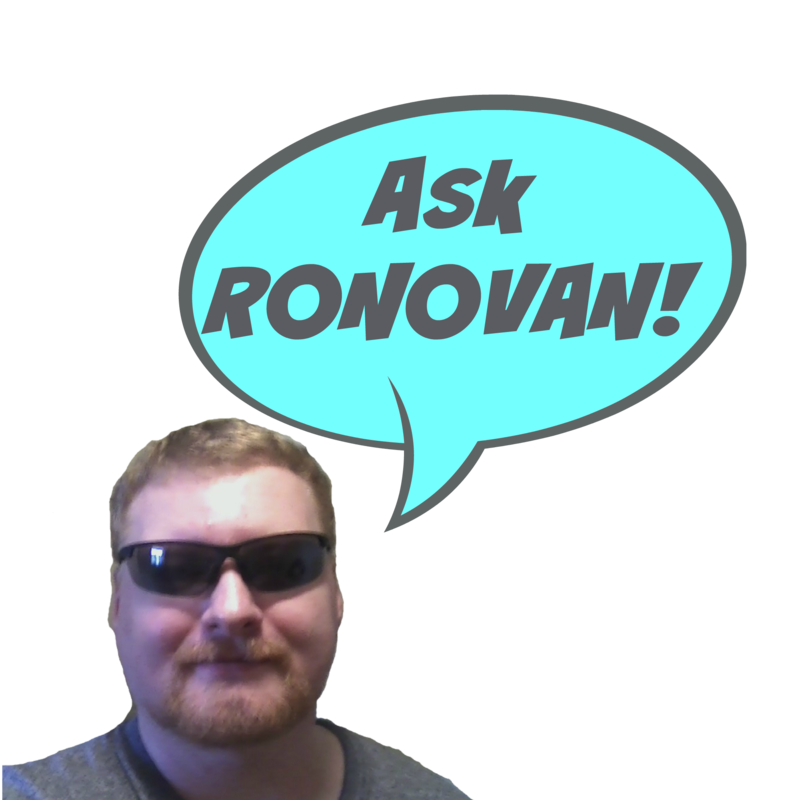 Every other Sunday I’ll put up a post called Ask Ronovan, beginning with this post today. You ask whatever you want in the comments or a form I include. You can ask me anything, about anything. It can be funny or it could even be about writing or blogging. How I answer will be the entertaining part. On the next Ask Ronovan post, I’ll give the answers to the best questions. I went over this with a friend and I was told I should choose only a few or maybe even one because I have a tendency to talk, to elaborate, to keep on keeping on. I have the gift of gab, the magic on the mic, the wizard of words. Do you feel me? Just imagine if I write and edit what you see here, what must the original look like. If that doesn’t give you a hint as to how I plan to answer your questions, you’ll have to wait to see. I want to stretch my creative wings a bit and shake myself up a bit. Y’all can help me with that. And so on, you get the idea. I’m looking forward to what you have for me. Sharing a real story the way only my friend author Claire Fullerton could. Many of you have been visited by Claire and if you haven’t you will. And if you think the name sounds familiar, it should. She’d probably truly go Southern on me and like, shoot me if she knew I put her picture and one of her book covers on here, but I thought that might remind some of you about her. She was my number 1 Contemporary Read of 2015. I loved her book so much I made her become my friend. Make certain to click through, visit Claire’s personal blog, and support her post. This is one worth supporting. She uses her talents as a Southern style writer, and talks about her finding out one of the ladies in her her lifelong group of friends has breast cancer. This is not a sad story in anyway. It’s about friends and their breast cancer survivor. I am one of the many women who have been touched by breast cancer through the diagnosis of a dear friend. In this case, by my childhood friend in Memphis, whose name is Tama. I wrote a 1st person narrative about what it means to support a friend going through breast cancer treatment, and it appears on Shirley Kiger Connolly’s blog on breast cancer ( she, herself, is a survivor.) The piece appears after Shirley’s own post. I thought I’d share this with you all. I’ve been working on my Romance novel and thoughts as I lay in bed last night, attempting to go to sleep, led me to impressions. Just so all of you are aware, my brain works in odd ways and chases what some in the world call rabbits. Rabbits are something you want to see, perhaps catch, even just for a photo, but will take you far away from where you once were. For me, rabbit chasing has always been a philosophical adventure. As I lay there thinking about one of my characters the idea of that person’s impression on others rattled around in my head. Then I began wondering about the kinds of impressions are made. Where I ended up next is beyond me. Some impressions are like the impressions you see as you walk along the beach in the evening. The footsteps you travel along beside with the deep heel, shallow toes and slightly kicked up bit of packed bits of all the things that make up that sand. You think about how interesting they look, wonder who made them, how lonely they look alone in their single file. Come the next morning you return to the beach and find that after a night of sleep the impressions are gone. They have been washed away by time and by nature. Some people are like that. They pass through your life without leaving but a momentary impression. There was nothing in the impression to stay with you. A single file of footprints in an evening beach will be seen again, and not made by the same person, on a beach far away. Then there are the impressions in your backyard. A frame was set up—the right mixture of materials of dry to wet—smoothening of the cement—patience for the cement to set up just right—then you are brought out as a child and your feet and hands are pressed into the wet but firm cement. You are now set. Time was taken to make that impression. Time was taken to set it firmly in place. Care was taken to make certain everything was just right in order you would be a part of that world for as long as possible. There would be no overnight washing away of these prints. I thought about impressions this morning during a conversation. The impressions we leave with our children. Those impressions are like an artist with a chisel. With each strike we leave our mark—our impression—on their minds, hearts, lives. Do we leave the impression of always being there and loving them and doing what it takes to get it ‘right’ or instead do we reinforce the impression of not caring, not being bothered to do something, thinking of ourselves first? With each strike of our hammer into the chisel we set our impressions in place with our children and with those we interact with. What impression do you want to leave? 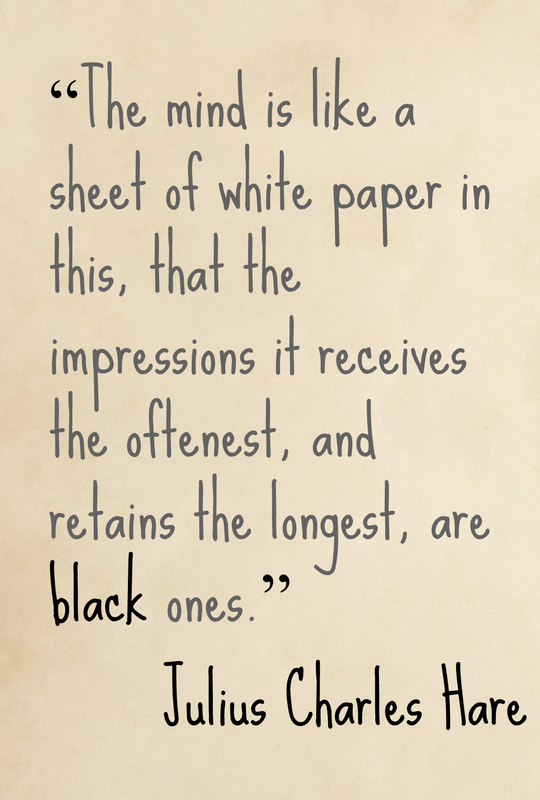 Do you care what impression you leave? Have you sat back and thought about the impression you have made, are making, will leave? This was written for my #BeWoW (Be Wonderful on Wednesday share) and for the Writer’s Quote Wednesday hosted by Colleen Chesebro of SilverThreading.Com. Click her site link if the Writer’s Quote Wednesday does not have a link in it directly to her post for the day yet. You simply ping back to her post or copy and paste your link there. You do the same with your #BeWoW posts to here if you have one. Not familiar with a ping back? Click here to find out how. Week 61 was for the words Wine & Tears. I came up with the prompt words from a spur of the moment thought I had in a melancholy mood and I shared it on Twitter. I liked the way the words turned out after reading them the next day and they became the starting point for the example or opening Haiku of the Challenge. Laughter can do miracles. It’s my go-to for any situation and usually works to get people I know into a better frame of mind and realize all is not lost or hopeless or as bad as they think. Click Here for the Image version I created today and posted earlier. Everyone, please try to visit all the poets you can for a show of support. Also share this Review in whatever way you can in order for all to get as much Social Media coverage as possible and perhaps be visited by someone new. If you have been keeping up with the links in the Challenge comments in order, after you check out the new this week section, why not try working your way up from the bottom. That way you may visit people you’ve never met before. NEW! Colette B. Wine along | The Wishing Well. Ha, a play on words AND RHYMES! “‘The Wishing Well’ (previously Bedressed, then Bubblicious) has come a long way during August’s Blogging101 course and I’ve enjoyed the journey. There’s still a long way to go, but now we’re travelling in a well-equipped jeep rather than a saddle-packed donkey. As with any vehicle, there’s re-fuelling needs, maintenance checks / tasks and undergoing some hopeful improvements and further learning progression.” And that’s just the beginning of her About page? Olga: Do Not Enter | Stuff and what if… The title is more of a take not so much on our not allowed in but what else is not able to. Kat: Buzzin’ | Like Mercury Colliding… So with a prompt like tears and wine do you really need an explanation of my title for this Haiku? Clarence: Taste of Wine | Prairie Chat. Clarence has been letting his inner romantic out lately. He doesn’t disappoint this week. Denis1950: Sunset Over Wine | Haiku Hound. Okay, the two Haiku are great. But when you put your photos of those sunsets of over the bay with those boats masts silhouetted…WOW. Great combinations all around. VronLacroix: Sadness | Simply Snapshots. ooooo, very nice use of wine here. Excellent. I like it. Shailzaa: The Plunge | Fewunsaidwords. You know, if you think about it, after this is over with, The Plunger might end up being appropriate. 🙂 Oh I slay me sometimes. And you people thought I had lost my sense of humor this week. Hrmph. Ruby: Unsated, we burn | Whispering Thoughts. Nice. Wow. You guys have to go read this one for sure and see the art. stu06bloc9: Drops Holy | Pitter Patter Poetry. A deep entry this week. Not only as far as placement but in meaning. I think people will take away several thoughts about this one. And the closing Video. You didn’t think I could do these prompt words and not use this video did you?